Are your meetings and documents accessible for everyone? 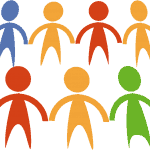 This manual can help you ensure that everyone can participate fully. 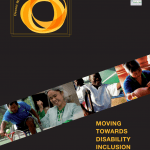 This study evaluates accessible support services and teaching methods used with Deaf students enrolled in a college in Manila, Philippines. A technology service in Japan provides accessible emergency broadcast information for people who are deaf or hard of hearing. 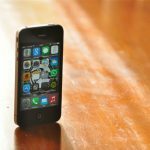 Deaf people and blind people in Israel can use a phone app, GalaPro, to enjoy accessible live shows and movies with captions & amplification. 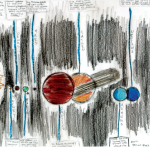 How to provide accessible space science for Deaf students, students with other disabilities, and non-disabled students in the same class. Learn how to advocate with television, newspapers, and other media to raise Deaf awareness through the media. Guides governments in improving policies and services to provide assistive technology in education to children with disabilities. 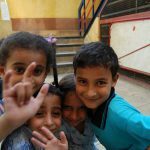 Learn about the Atfaluna Society for Deaf Children in the Gaza strip. Provides health care, social services, education, & work opportunities. 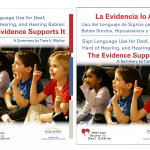 Summarizes research about early intervention services with deaf children and explains the best practices for helping them learn language. 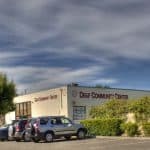 The KwaZulu-Natal Blind and Deaf Society provides services for people who are deaf, hard of hearing, blind, low vision or deafblind. Business can empower. 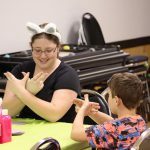 One U.S. business provides sign interpreters and captions–and also does outreach and empowerment for Deaf people. Overview of the sign languages in the Caribbean region. Summarizes the influence of foreign sign languages. Mentions documentation. 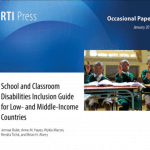 Describes two case studies of assistive technology in education in Bangladesh and Tanzania and guides governments in how to help. Two Deaf leaders from Vietnam, Huong and Linh, share what they know with two CBM staff members, Elizabeth Lockwood and Sian Tesni. 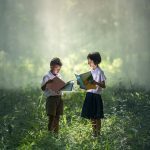 Learn about child development in mainstream school and how this impacts language and academic skills for Deaf students. If your project helps children, they can help decide its goals and assess progress. 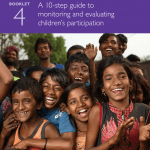 Learn how to have children helping monitor and evaluate. 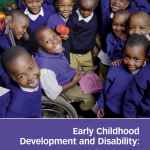 Learn long-term strategies to improve participation and outcomes for children with disabilities in child development programs. The Washington Group on Disability Statistics has standard questions, strategies for collecting disability data. Their website has guidance. 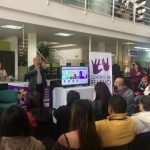 In Colombia, deaf people can use free sign language interpreters via the Colombia video relay service to help with phone calls. Explains parts of the CRPD that mention deaf people or sign language. 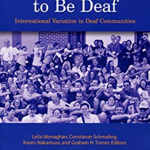 May be useful as an introduction to the CRPD for deaf people. 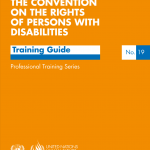 Trainers can use this CRPD training manual to teach others about the Convention on the Rights of Persons with Disabilities (CRPD). 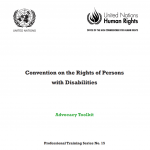 Find comparative data on CRPD implementation. 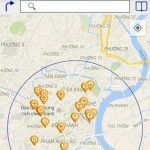 The Zero Project works wth partner organizations to gather data from more than 100 countries. Read the story of Deaf student Kent Schaefer and his experiences with Deaf accessibility at the University of Alabama in the United States. Learn the situation of Deaf and disabled women around the world. And read some ideas for how women with disabilities can change society. 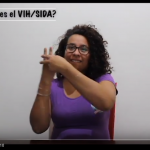 A series of videos in Chilean Sign Language and Spanish captions is helping Deaf Chilean women learn HIV/AIDS information. 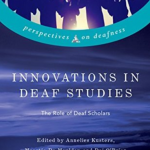 Twenty-four researchers studied Deaf communities and signed languages in five continents. They explain the history of the signed languages. Deaf communities in Bangalore are separate from each other based on education, training, and sign language skills. Research and analysis. 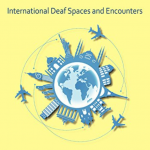 Provides an overview of Deaf communities in Southern Asia. Focuses on India and Nepal. 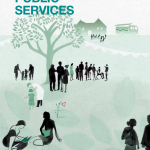 Summarizes experiences in urban and rural areas. A project in Namibia built local capacity in Deaf education and Namibian Sign Language. 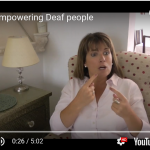 As a result, the Deaf community empowered itself. 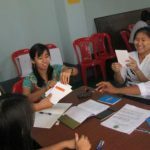 The Deaf Development Program in Cambodia works to empower deaf people in education, language, employment, and community. 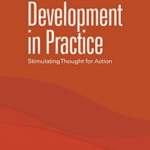 The authors summarize the history of deaf education in Zimbabwe and study the attitudes of teacher trainees toward sign language. Projects in different countries helped people with disabilities, including Deaf entrepreneurs, get jobs and escape poverty. 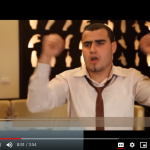 Watch three interviews about deaf equality in Gaza City. The people in the video are at the Atfaluna Society for Deaf Children. 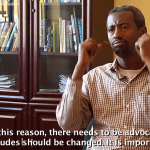 Deaf Ethiopian youth experience many challenges. But they also have opportunities for advocacy, education, and empowerment. Explains the Convention on the Rights of Persons with Disabilities (CRPD) & the Sustainable Development Goals (SDGs), re, Deaf human rights. 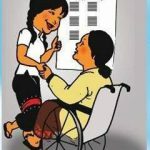 Learn how people with different disabilities cooperated to establish a national cross-disability council in Myanmar, including deaf people. 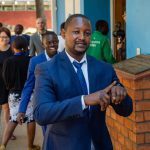 Learn about a university program in the United States that teaches professionals about Deaf international development. 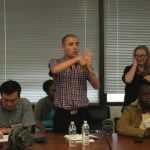 A panel of Deaf professionals in the international development field share their insights about deaf leadership in international development. 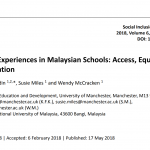 This study analyzes the experiences of four Deaf learners in Malaysia primary schools and two Deaf adults who have finished school. 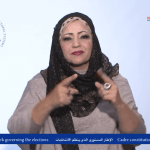 Deaf Libyan voters use a sign language dictionary on elections and politics to empower themselves. Available in a video, phone app, or PDF. 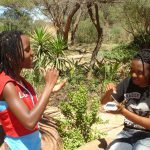 The Deaf Outreach Program (DEAFOP) Kenya mainstreams Deaf and disability issues in social, cultural, economic, and political development. In Germany, the law requires health insurance to pay for sign language interpreters for deaf patients. 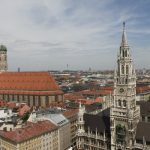 But, do deaf patients in Germany know? 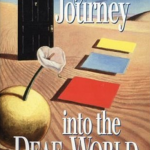 Summarizes literature about Deaf people in Haiti. Explains the situation of Deaf people during natural disasters. Makes recommendations. What are U.S. 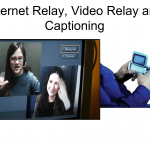 Deaf people’s technology preferences? What do they use most? And what’s accessible? Researchers conducted a national survey. 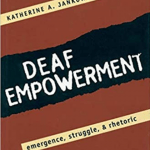 The author explains the history of the Deaf social movement in U.S. society and how the movement expressed its ideas and empowered itself. 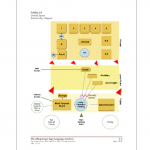 How does architecture affect deaf & hearing student interaction? 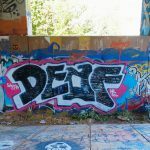 What makes a place “Deaf Space”? Author used Participatory Research. Some teachers now view deaf students as a linguistic and cultural minority. 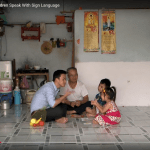 They use a bilingual approach to teaching deaf children. 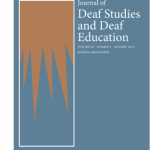 The Journal of Deaf Studies and Deaf Education is a peer-reviewed scholarly journal for basic and applied research related to Deaf people. 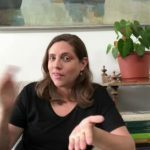 A project in Argentina helps Deaf women making health and motherhood decisions through videos and workshops in Argentinean sign language. Is it “deaf-same” or “deaf-different”? 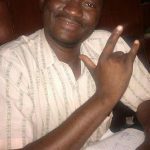 Read experience of Deaf trainers providing leadership training to Deaf people in Nigeria, Ghana. DeafKidz International promotes rights, self advocacy, & job skills of deaf children. Also promotes access to technology & child health care. 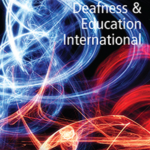 Deafness & Education International is a peer-reviewed journal for educators involved with the education of young deaf students. 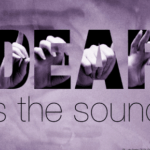 Deafway, a UK-based organization, works with Deaf communities in the UK, Uganda, and Nepal. 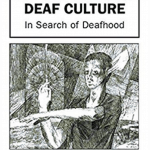 They value Deaf culture and signed languages. Learn to develop a sustainability plan that addresses three types of “sustainability”: financial, institutional/organizational, programmatic. 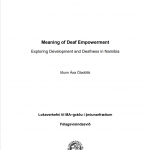 Does development empower Deaf people in Namibia? Researchers interviewed people to answer this question. With caveats, the answer is yes. 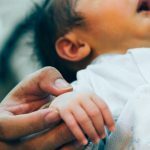 This article describes a study about diagnosing deaf infants in a community-based immunology clinic in Lagos, Nigeria. Guides trainers in providing training program on disability inclusion in the media. Deaf, disability and media collaboration is essential. 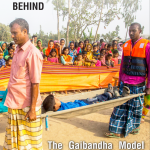 Learn from the example of a flood-prone region of Bangladesh that has successfully implemented disability-inclusive disaster planning. Learn how to create disability-inclusive, Deaf-inclusive communications that is accessible and respectful and reaches everyone. 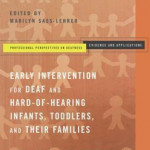 Different experts explain early intervention with deaf babies, toddlers, and their families, for the professionals who work with them. 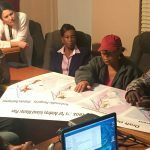 How an international organization encouraged Deaf people in Guinea, Georgia, and the Dominican Republic to participate in elections. 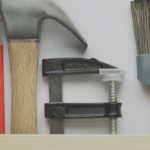 What can we learn when we evaluate projects again years later? 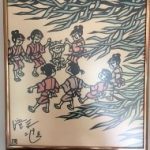 How can this help us improve other projects we do? And how to do it? 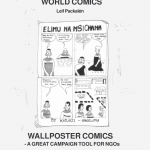 Both Deaf and hearing people in Honduras are reading comic strips to learn about corruption in Honduras and how to stop it. 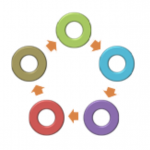 Explains how an organization can develop a financial sustainability plan. 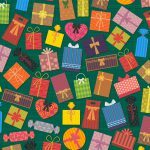 Helps with brainstorming ideas for raising money, other resources. 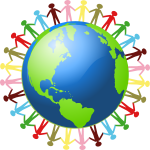 These web pages will help you find organizations of, and for, DeafBlind people around the world. Most major regions are covered. 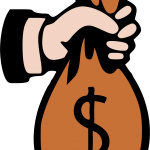 How will your project survive after the current grant funds run out? Here are 5 ideas for creating your grant’s sustainability plan. Guidance for doctors and other professionals advising parents on how to help their deaf or hard of hearing child learn language. 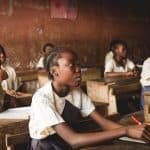 How policy makers can make the school system in their country more inclusive of students with disabilities. 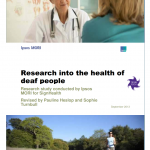 This report explores the question of health for UK deaf people 2010 and 2011. Do barriers to healthcare lead to poorer health? 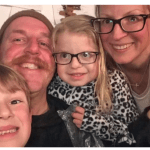 Read the evidence: Why health professionals should advise parents to use sign language with their deaf children–even with cochlear implants. 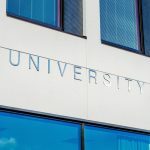 Learn how a university can help deaf or hard of hearing students succeed and pursue a university degree in the same school with hearing students. Not all fluent signers are good sign language interpreters. 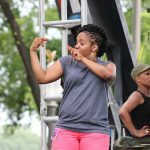 Learn how your country can certify sign language interpreters. 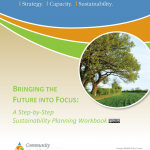 Provides detailed, step-by-step guidance on how to develop a sustainability plan for an organization. A team can work on this together. 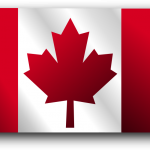 Explains international laws, national laws in Canada, and provincial laws in Ontario, Canada that affects human rights for deaf people. 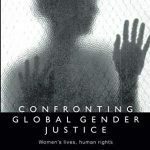 Summarizes the human rights situation of women and girls with disabilities and the challenges they face in developing countries. 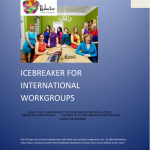 Learn ideas for “icebreaker” activities. 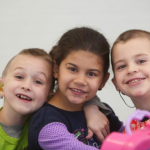 These are activities that will help a new group learn about each other and work well together. 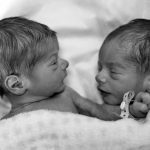 On identifying hearing loss in newborn babies, why this is still not happening in many developing countries, and how to solve this. 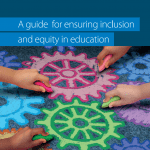 Learn strategies to make schools and classrooms more disability inclusive, with inclusion for Deaf and hard of hearing students too. 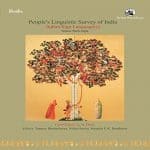 The authors discuss the situation of India sign language rights in international and domestic laws and in deaf education. Learn about different international human rights laws that advocates and policy makers can use to protect the rights of Deaf children. Is the “Deaf” experience universal? Is the “Deaf” experience universal? 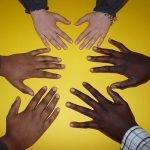 How do Deaf people from different countries relate? 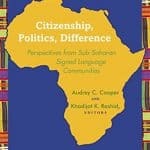 The authors analyze experiences in Ghana and India. 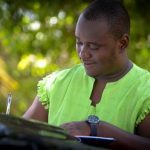 A deaf journalist in Nigeria, Julius Shemang, advocates for better disability rights laws, media coverage of disability, and deaf awareness. Learn how to write laws that enable people with disabilities, including Deaf and hard of hearing people, to compete for employment. 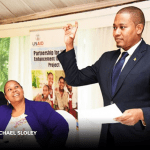 A three-year project from 2017 to 2020 is using Jamaican Sign Language to improve literacy skills for Deaf Jamaican students. How will your organization survive 5, 10, 20 years from now? This guide can help develop your long-term organizational sustainability plan. 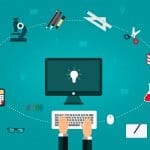 A university in France experimented with how to use technology to make classroom lectures accessible for Deaf students and hard of hearing students. 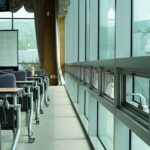 A project in Ontario, Canada, helped public schools make classrooms accessible for Deaf students and hard of hearing students. Media either ignores, or stereotypes, people with disabilities and deaf people. 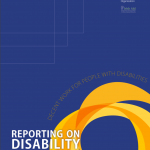 This guide for media reporting on disability can help. 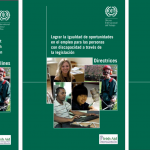 Mexico has many laws important for Deaf people and people with disabilities. 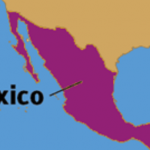 Learn more about Mexico laws for Deaf people. 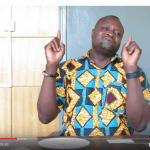 MNI works with CHAVITA, the Tanzania Association of the Deaf. 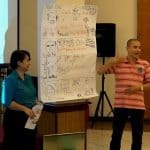 CHAVITA is training Deaf people in advocating with local government. 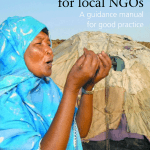 Monitoring and evaluation may help your organization be more sustainable. 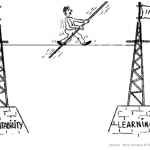 Learn how to monitor and evaluate for sustainability. 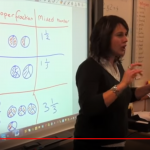 New technology helps teachers and parents develop their own Morocco Sign Language-supported educational materials. 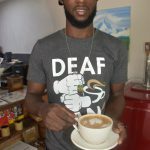 In one coffee shop, Deaf Jamaicans sell coffee to hearing people–and also help them learn how to communicate with Deaf people. 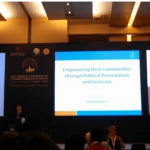 The author says sometimes researchers confront nontraditional ethical issues in research on assistive technology in a developing country. 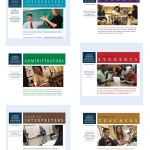 Some universities use online education to train new teachers in deaf education. 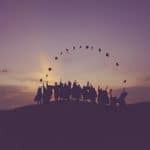 The article shares the experience of one such program in United States. 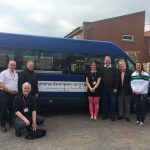 A project in the United Kingdom helped Deaf and disabled people’s organizations show donors they are valuable. 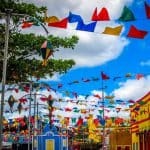 How do deaf students in Brazil use the Facebook application in mobile phones? 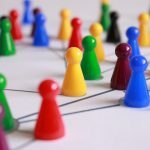 How can one develop a participatory design social app for them? 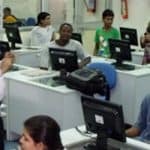 Deaf adults in India, Uganda, Ghana, Rwanda, and Nepal use peer tutoring to improve literacy skills among Deaf children and adults. 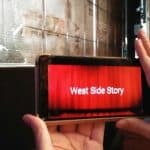 In Germany, people who are deaf or blind use phone apps for movie accessibility. This helps them watch the same movies as everyone else. Learn how to plan a sustainable project, build organizational capacity, manage volunteers, raise funds, and partner with other organizations. The authors describe issues that cause poor health care for deaf sign language users and propose how public health workers can address them. 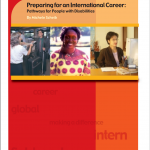 How can young adults with disabilities prepare for international careers? 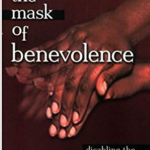 Includes quotes from a deaf woman in international development. 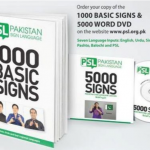 A project in Pakistan is helping teachers and parents learn Pakistan Sign Language for Deaf children in primary school. 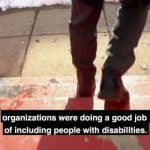 A series of public service announcements on U.S. media educate people about workers with disabilities and raising awareness for deaf workers. 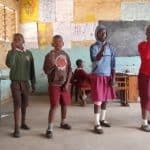 One initiative helped service providers learn basic Kenyan Sign Language to communicate with Deaf women experiencing gender-based violence. 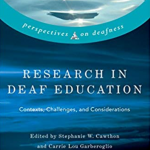 Experienced researchers share insights and experiences about the best way to do research in deaf education. 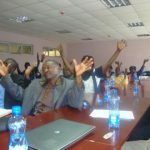 Rwanda National Union of the Deaf (RNUD) summarizes the situation of Rwanda deaf education in 2013 and has recommendations for improvement. Colin Allen, president of the World Federation of the Deaf, speaks about the importance of sign language in Deaf education. 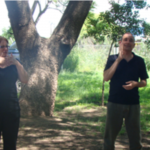 Sign language TV news in Mozambique is available for deaf people in the country. The channel TV Surdo Mozambique broadcasts weekly. 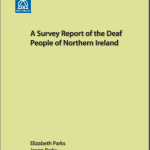 Learn what researchers found when they investigated sign languages in Northern Ireland. Similarity to British or Irish Sign Languages varied. 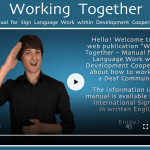 Software help medical communication for deaf patients–possible? 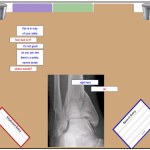 Can the right software help medical communication for deaf patients? Researchers compared using an interpreter, or their software, or both. 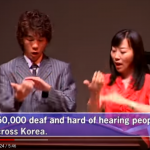 Watch the six-minute video to learn about the South Korea Association of the Deaf and its history. 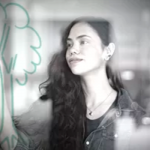 The video has captions in English. What is happening with deaf bilingual education in Spain? 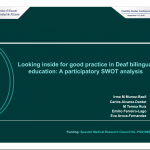 And what should happen next in Spanish deaf education policy and research? 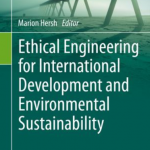 Provides guidance in writing the sustainability section of your grant proposal, explaining how your project survives after the grant ends. International development professionals often ask, how do we make a more sustainable development plan? 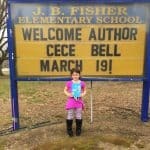 Author Mary Ruckelshaus has an answer. Three teachers share perspectives on teaching leadership, advocacy, etc to international young deaf leaders in Frontrunners based in Denmark. 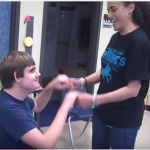 What are the experiences of educators teaching deaf students with additional disabilities? 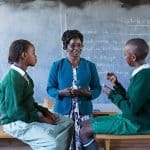 How should training for teachers improve? Learn about teaching deaf voters, voters with other disabilities, and other voters about their right to vote. Messages need to be accessible. 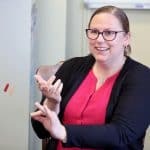 In the United Kingdom, expert teachers of deaf students have tried experimental technology for supervising trainee teachers. Educators in Greece developed technology for teaching Greek Sign Language to deaf students in early primary school. A disability organization educated Thai media about disability and improved how Thai media covers disability. 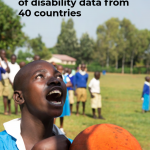 The Disability Data Portal shares data and statistics related to people with disabilities. These measure 16 indicators in 40 countries. One U.S. program improved training for interveners with DeafBlind students. 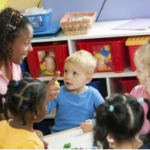 A teacher and intervener work together in the classroom. A U.S. Deaf museum educates visitors about deaf history, arts, and culture in the United States. It is based in Olathe, Kansas, USA. 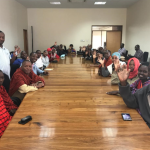 Tanzanear is a UK-based organization working with deaf communities in Tanzania. They work with a local deaf school and deaf organization. Deaf people in an isolated village in rural Papua New Guinea (PNG) have developed their own unique sign language. Learn about U.S. 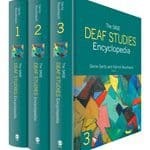 Deaf history. 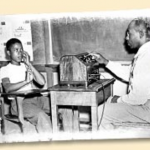 Topics include sign languages, early 19th century deaf education, the civil rights movement, and others. 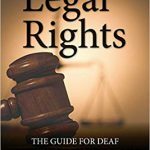 This reference guide explains laws that affect US deaf legal rights. Furthermore, it uses simple language to explain the laws clearly. 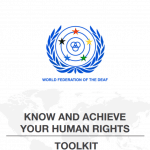 How can you use the Convention on the Rights of Persons with Disabilities (CRPD) to protect Deaf African rights? This book chapter explains. 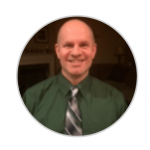 This article shares the experience of using deaf-friendly technology at school in two different places in the United States. 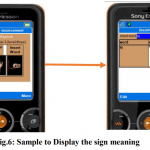 This study examines how a smartphone application can help signing deaf people communicate with people who don’t sign. 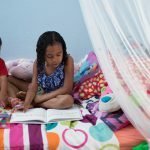 Links to websites that have many resources for educators teaching one or more children who are deaf or hard of hearing. What is “inclusive development?” What do USAID policies say about marginalized groups? And what can USAID staff do to make programs inclusive?